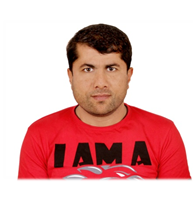 Mr. Wahid Jamshady is Operations Manager of Future Bright and also he is the Vice President of Afghan Logistics & Tours Pvt. Ltd (Afghan Logistics). He has supported and established Afghan Logistics from the beginning in 2002 and in charge of operations, cargo, and supplies. Always a professional; he is determined and hardworking. He has a proven track-record and can get the job done; on time, anytime, and anywhere. Through Mr. Abdul Wahid Jamshady's actions, Afghan Logistics has proven operational results from 2002 until the present day. Future Bright is proud, pleased, and privileged to have him on board to support us with operations management. Companies and clients using Future Bright will experience relaxed and hassle free services. Delivery and service responsiveness are offered 24/7; whether it be a land-locked country like Afghanistan, with challenging logistics, or any part of the world, you can count on smooth service delivery.